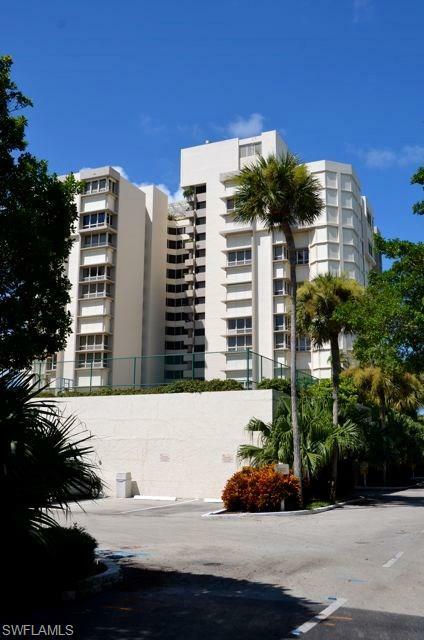 4051 Gulf Shore Blvd N #406, Naples, FL 34103 (MLS #218044683) :: Clausen Properties, Inc. 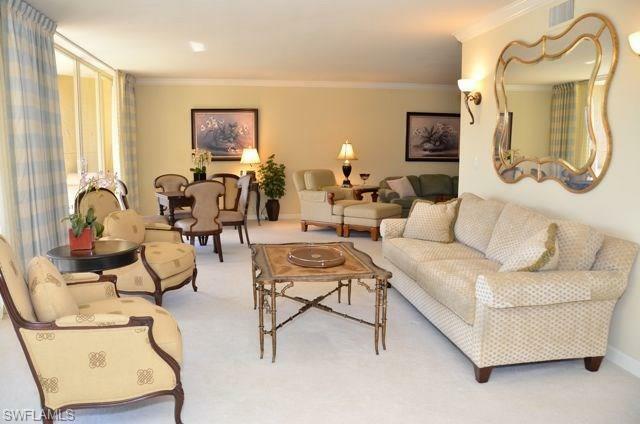 Rarely available, Beachfront 2 bedroom/2 bath condo within the La Mer Building on Gulf Shore Blvd. N. This 4th Floor Residence offers beautiful Southwest views of The Gulf and its' white, sandy beach. The Living Room offers a neutral-toned, upholstered couch, a comfortable chair and ottomon, Flat-screen TV/DVD, desk and chair, and accompany tables, lamps. 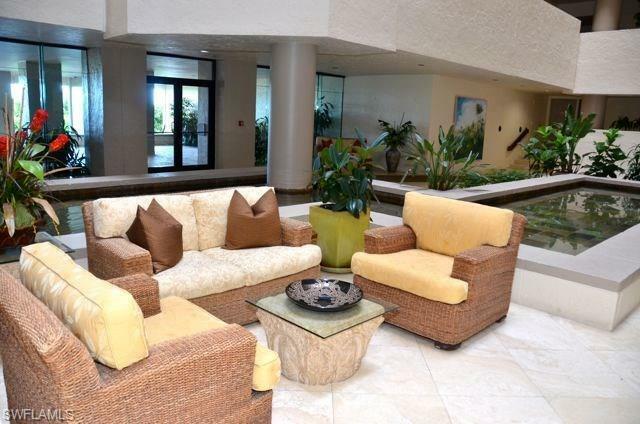 The separate seating area offers a couch and two matching side chairs. The Well equipped Kitchen has custom cabinetry, stainless appliances, granite counters, and eat-in area for 2. The Dining Area has a table and chairs for four. The Master Suite offers a King bed, end tables, lamps, armoire with TV, walk-in closet, and private bath with a walk- in shower.The Guest bedroom has a Queen bed, dresser, chair, and private bath with a combination Tub/Shower.The Screened Lanai has a table and chairs, with plenty of room to entertain friends and family, while enjoying Fabulous Sunsets. La Mer offers a Guest Suite, Social Room, Exercise, Tennis, heated Pool/Spa, Security, and much more. 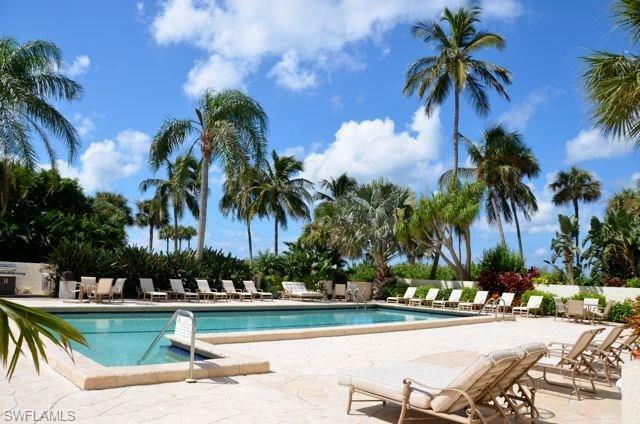 Enjoy the short walk across the street to Venetian Village Shops, Restaurants, and Galleries.